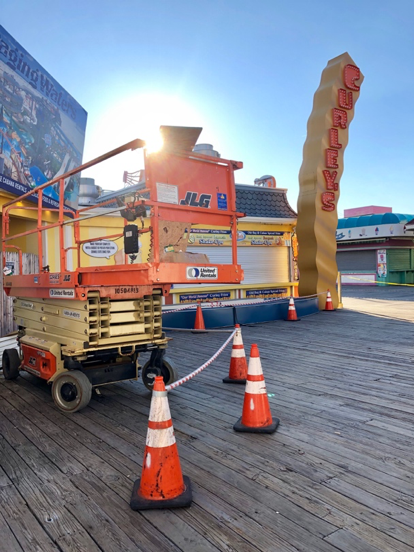 The Wildwoods, NJ – March 31, 2019 – Morey’s Piers, located in the Wildwoods, NJ, kicks off fifty years on the piers with brand new food and beverage offerings. In November, Morey’s Piers took to social media, asking guests what kind of new concession items they wanted to see in 2019. Morey’s food and beverage team reviewed all the comments and emails submitted and it was clear that guests wanted more nutritious and healthier food options when visiting the piers. Some of the comments included more low carb food options, a healthy snack shack food stand, veggies with an assortment of dipping sauces, fruit sushi and more. The two locations located on the front of Mariner’s and Surfside Piers are due to open this Spring. The beloved Curley’s Fries are being replaced with items that include, vegan and paleo friendly crispy kale chips brushed with avocado oil and baked with a seasoning blend of garlic powder, cumin, chili powder, and cayenne. Roasted chick peas tossed in garlic and herb seasoning, sprinkled with parmesan cheese, seaweed salad using locally sourced seaweed, and homemade fruit and nut bars that are an easy on-the-go-snack, packing a ton of nutrition. The responses Morey’s received in their social media post are in line with what studies are now showing. Generation Z consumers want healthier and more convenient food options, so much so, that their dining habits are impacting the entire food and beverage industry. Studies also show that compared to millennials, Gen Zers want more organic and natural foods without additives and they are more likely to be vegetarians. Morey’s Piers opens for the season on Saturday, April 13that 12 PM. For a full list of operating hours please visit, www.moreyspiers.com/info/park-hours. Morey’s Piers, located on the boardwalk in the Wildwoods, New Jersey is a classic seaside amusement park, family owned and operated since 1969. Voted the best seaside amusement park in the world by Amusement Today and #1 Best Beach Boardwalk by Family Vacation Critic Morey’s Piers has over 100 rides and attractions spanning over eighteen acres along six beach blocks and includes three amusement piers and two beachfront water parks. 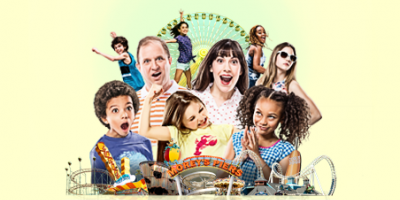 Convenient to the major population centers of the Northeast, yet a world apart, Morey’s Piers along with Morey Hotels & Resorts combines the pure joy of an amusement park, the sights and sounds of a classic boardwalk, outstanding accommodations, together with the rhythm of beach life. Visit them at Surfside Pier, featuring the Ocean Oasis Water Park and Beach Club at 25th Avenue, Mariner’s Landing Pier, featuring Raging Waters Water Park at Schellenger Avenue, and Adventure Pier at Spencer Avenue. For more information, visit www.moreyspiers.com or phone (609) 522-3900 or like us on Facebook. You can also follow us on Twitter, Instagram and YouTube.